The FTC mandates that we inform consumers that the reviews and information provided on this website are strictly for research and informational purposes only. The reviews and information within this website are not to be construed as an expression of advice by OnlineTherapyReviews.com website, owners, staff or the like. As a user of this website we want to make you aware that a number of factors affect the applicability of comments, statements and data presented on this website. You, as a visitor, should not rely upon the information expressed here as advice. While we do everything that we can to maintain accuracy and to provide complete and factual information that is up to date, we cannot and do not provide a warranty to the accuracy of data and information found on this site. 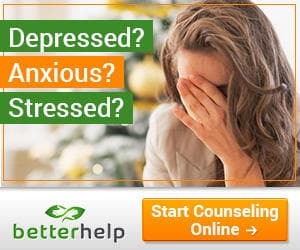 OnlineTherapyReviews.com receives monetary compensation for companies that are listed on and/or advertising on this website. Rankings, scoring systems, opinions and reviews are presented at the sole discretion of the webmaster. Reviews by webmaster or by customers/visitors (via customer reviews/feedback/comments) may contain false information or incorrect facts. We receive compensation when you sign up for a service after clicking a link on this site. If you have a question, please contact using the contact form.